My friend Melanie Bromley and I have been intrigued by the RiSe Festival since we first heard about it a few years ago. Every year we make tentative plans to go – and then life happens. 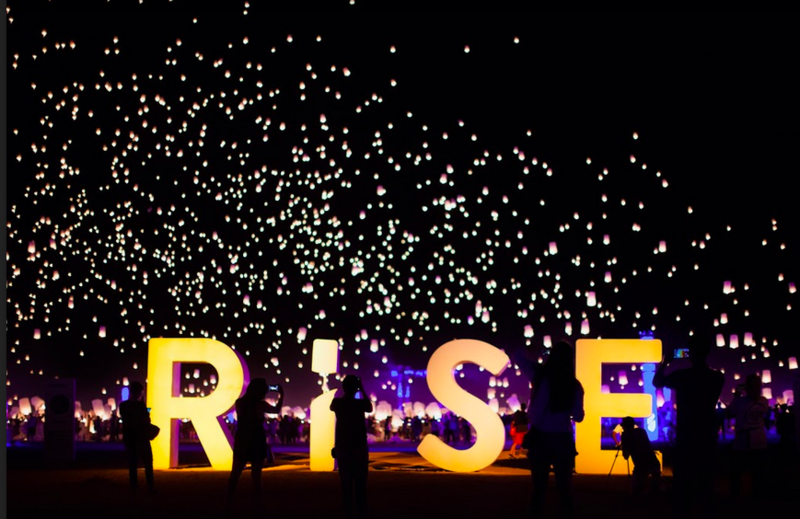 This year, just after we both acknowledged it was happening but hand’t yet made any solid plans to attend, again, I received a call asking if I wanted to help out on the PR for a lantern festival called RiSE. Hello serendipity. Yes please. Now, the festival founded by Jef Holm, Bronson Christensen, Jeff Gehring, Dave Alberga and Dan Hill, who has a track record of creating events that inspire higher connectivity and creativity, is only a couple of days away. 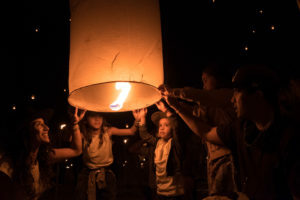 Friday and Saturday, Oct. 5th and 6th, thousands will come together in the scenic Mojave Desert to light lanterns representing their hopes, wishes and dreams and watch them rise in unison. I’m told the experience is magical, mystical and universal. 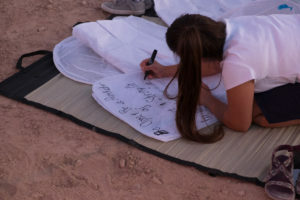 It has no message to send, it’s all about what the attendees want to say, let go of or just put into the universe on their individual lantern.